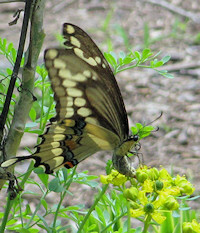 Oh how the Black Swallowtail and the Giant Swallowtail butterflies love the rue in my Garden! 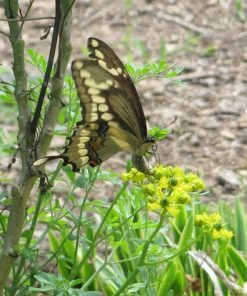 Here I will cover caring for a rue plant and germination/propagation as well as all the fun butterfly activity that comes along with Ruta graveolens! 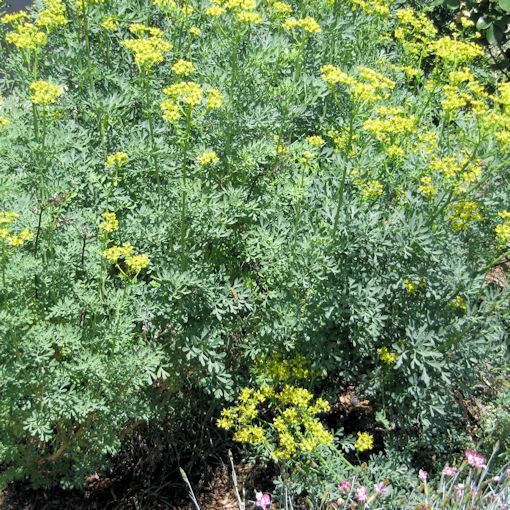 Ruta graveolens, also known as common rue is an evergreen perennial herb that is hardy from USDA zones 4-11 and grows about 2-3 ft tall. It should be mulched heavily for winter in northern areas. 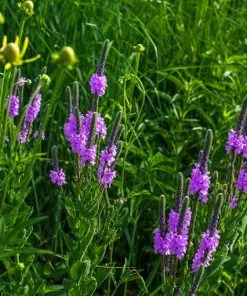 Rue grows well even in poor dry soils but needs well drained soil to thrive. 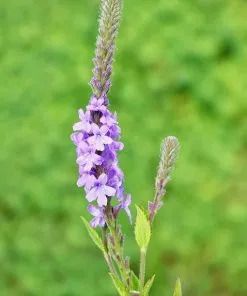 It is quite drought tolerant after it is established. Rue plants prefer full sun but will do well even with a little shade. Mine get full sun up until about 2-3 in the afternoon at which time they get mostly shade for the rest of the afternoon. They have done great for several years in this location. 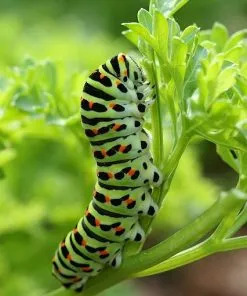 Rue can also be grown in containers if you are butterfly gardening in a small area. 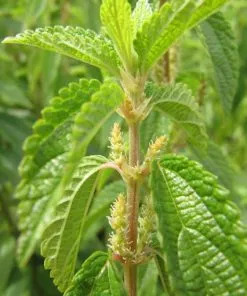 The foliage can be described as sea-green, powdery blue, or bluish-green. It tends to be greener for new growth and develop more of a bluer look as it matures. 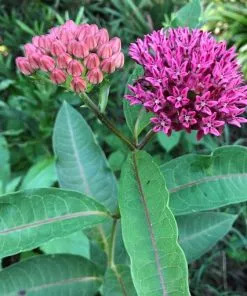 It is a nice color addition to a garden and has many bright yellow flowers in the early summer in our Southeast location. It will continue with a few blooms here and there throughout much of the summer. 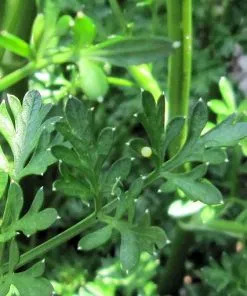 The rue plant is the Host Plant for three different types of butterflies. 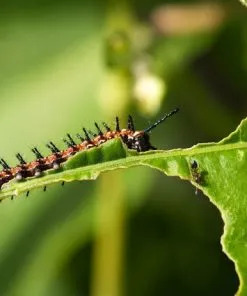 The Black Swallowtail, Anise Swallowtail (which is basically a western version of the Black Swallowtail), and the Giant Swallowtail butterflies use this plant (among others) on which to lay their eggs so their caterpillars can eat the foliage and grow. 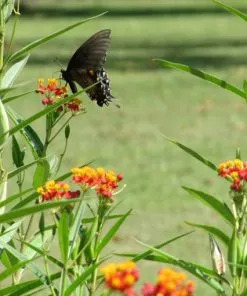 With the exception of Alaska and Hawaii, the entire United States is home to either the Anise Swallowtail or the Black Swallowtail butterflies (or both). 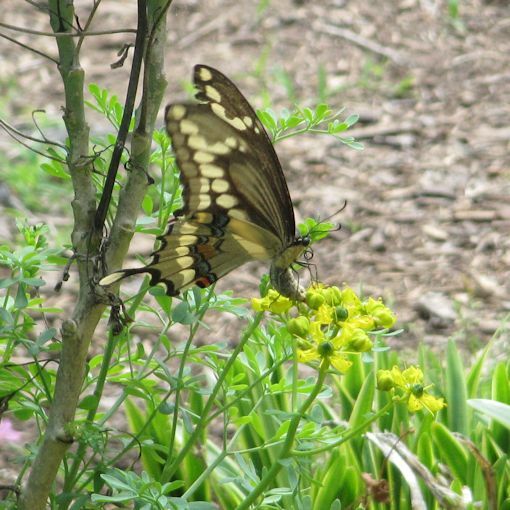 Generally the Anise Swallowtail butterfly is more prevalent to the west of the Rockies and the Black Swallowtails are found more to the East of the Rockies. 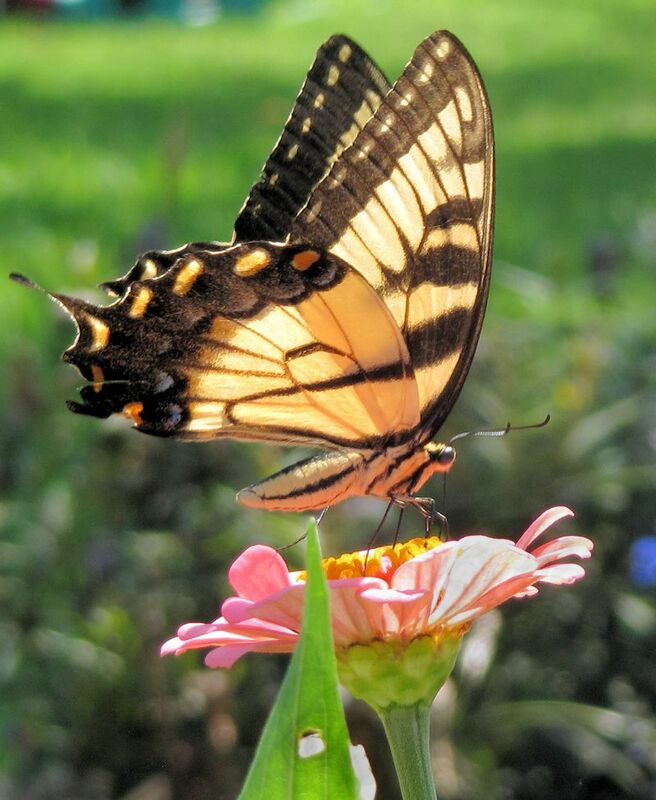 Giant Swallowtails are found all across the South, Central and Eastern United States. 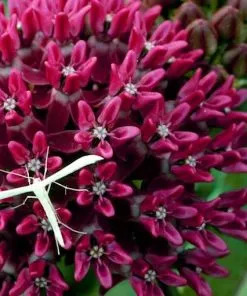 It is the largest butterfly in North America. 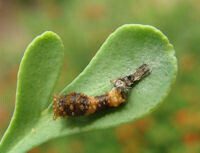 Black Swallowtail butterflies will usually lay their eggs singularly on the new growth of rue. 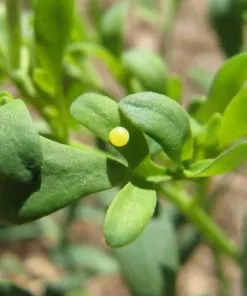 Their butterfly eggs are light yellow. 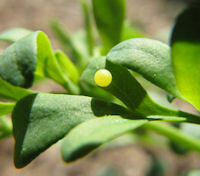 Giant Swallowtail butterflies prefer to lay butterfly eggs on the flowers of the rue plant if there are any. Their eggs have a golden tone to them. 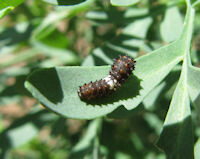 The Black Swallowtail caterpillars take about two weeks to grow before they are ready to crawl off and pupate while the Giant Swallowtails take longer. 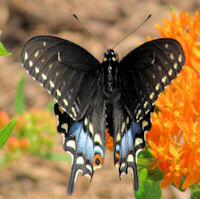 They get bigger than the Black Swallowtails. The Giant Swallowtails spend most of their caterpillar life stage looking like bird droppings while the Black Swallowtails change significantly and are quite pretty in their later stages. 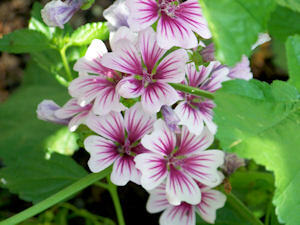 Although rue is great for so many reasons (evergreen, perennial, pretty, easy, Butterflies, etc.) it does have its downside for a few people. 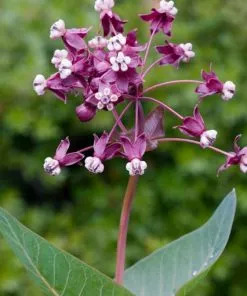 Contact with Ruta graveolens can cause an allergic reaction in certain individuals and especially those who tend to have sensitive skin. So, to be on the safe side, plant it where people will not be regularly walking around it, and use gloves when handling. Most people do not have a reaction from it and my kids and I are fortunate to be in that group. I just want you to be aware that this is a problem for some people. 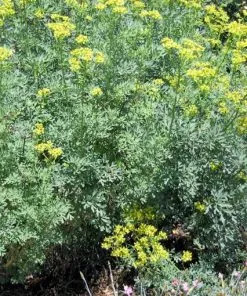 On the positive side of that, deer, rabbits, and other animals do not eat rue plants so you will not have to fight to keep animals away from it! 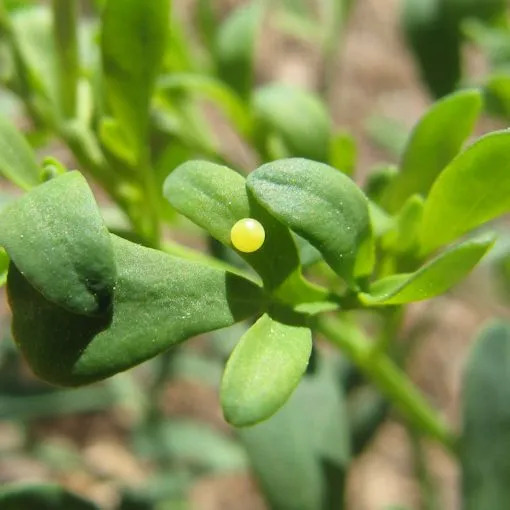 Rue is one of those lovely plants that seeds and propagates easily which makes it fun to increase the amount of rue you have and to share with friends. 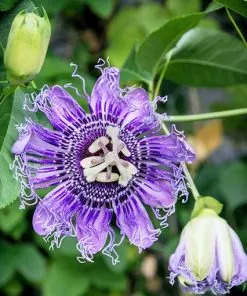 It is also one of those great butterfly host plants that will stay good after sticking cuttings in water for a long time (so you can raise butterflies indoors easily). 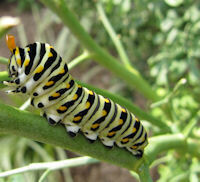 You do not have to worry about it wilting while your caterpillars are eating away at the cuttings in your house. I often have even large cuttings rooting in the water after several weeks. Swallowtail caterpillar in the background. 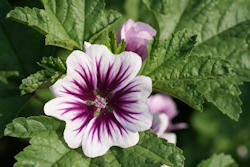 Rue cuttings root easily and will do so in water, soil, or moist sand. 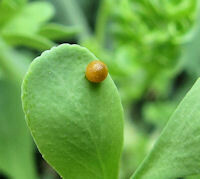 It grows readily from seed although it may be erratic in that rue can germinate anywhere from 1 week to a month. The seeds are assisted by light so do not cover them completely with soil and keep the soil moist. I have always started my seeds indoors but they can be sowed directly outdoors as well. Plant them about 18-24 inches apart. 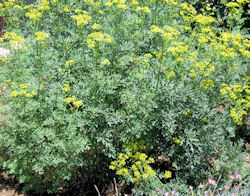 Rue plants can be pruned to encourage bushy growth. 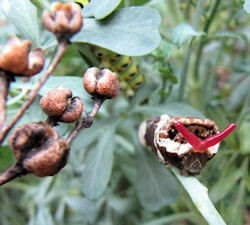 The picture to the left shows the ripe seed pods of a rue plant. 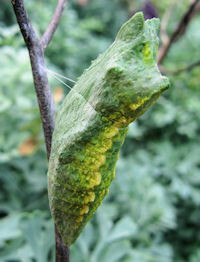 After the flower blooms, a green seed pod will develop. Once it turns brown and dries the husks will open revealing many black seeds. Left alone, rue will self-sow. You may want to collect the seed heads to prevent self-sowing or for sharing if you wish. 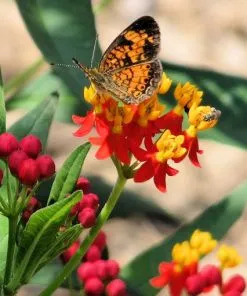 Rue is one of my favorite host plants in my butterfly garden because it is easy, pretty, and attracts two types of butterflies in my area. 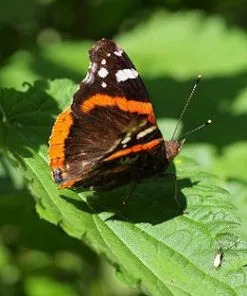 I hope you will consider giving it a try in your butterfly garden!